On the eve of release, details regarding the day-one update for Uncharted 4: A Thief’s End have surfaced online, revealing the patch’s file size and general contents. First reported by AllGamesDelta, Uncharted 4‘s first post-launch update weighs in at 5GB, targeting a handful of last-minute bug fixes all the while opening up multiplayer support. 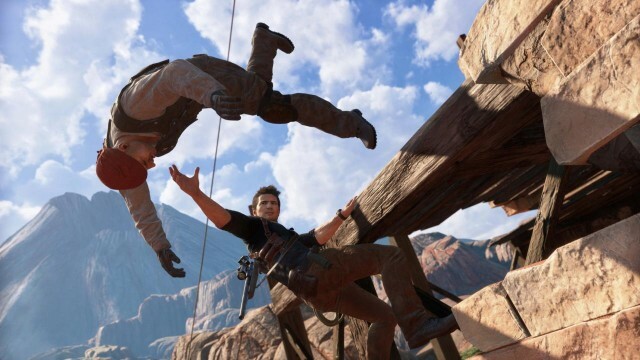 What’s more, there are also hints toward some of the bonus features including in Naughty Dog’s hotly-anticipated sequel, including a photo mode to document Nathan Drake’s next, and seemingly final, journey. In related news, it’s been revealed that Sony is set to stage the UK’s “largest ever” marketing campaign for a game over the next ten days or so. Word comes by way of MCV, revealing that the marketing blitz will cover everything from standard TV spots, along with ads plastered across city streets and public transport. But will such a massive and unprecedented effort translate to record-breaking sales? We’ll find out soon. Uncharted 4: A Thief’s End is due to launch exclusively for PlayStation 4 on May 10. That is, unless you’re one of the few that already received a copy due to a retailer error. For everyone else, it’d be best to tread lightly from here until release in fear of spoilers.